Replacement: None. 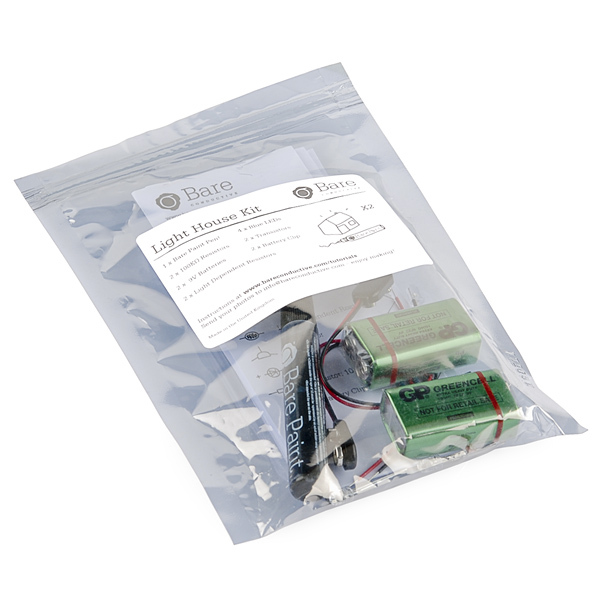 We are no longer carrying this conductive paint kit in our catalog. This page is for reference only. 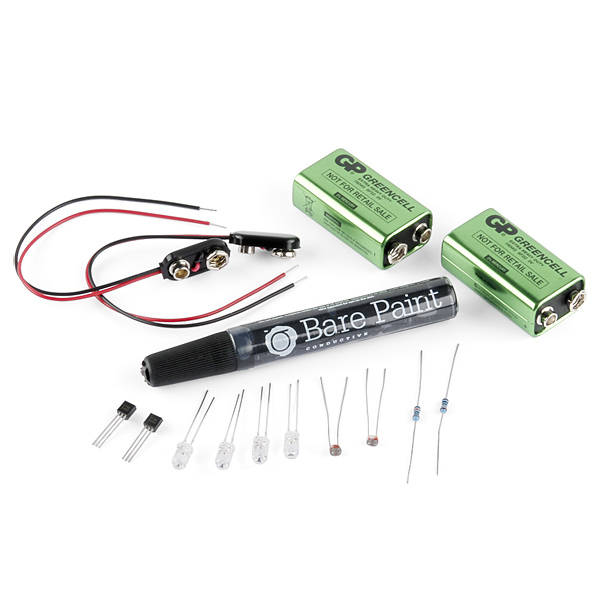 Bare Paint is the first non-toxic electrically conductive paint available to consumers today! This unique child-friendly material is designed for people of all ages to explore and learn about electronics with an inclusive, easy-to-use material. 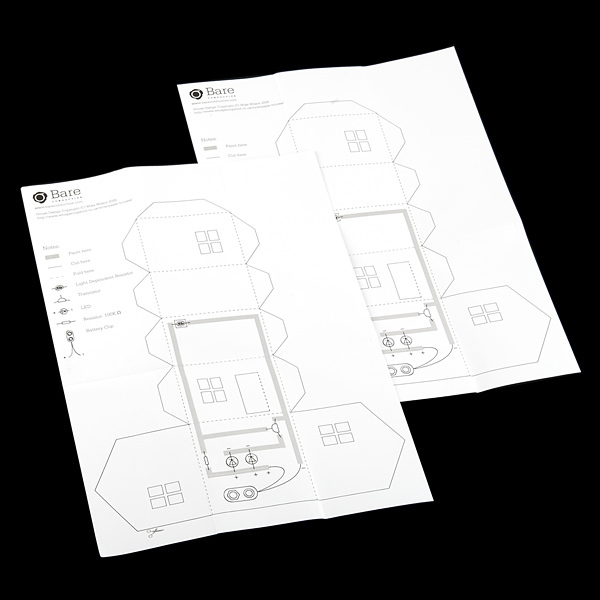 Bare's House Kit contains all the components you need to make two light sensitive paper houses using a Bare Paint Pen. 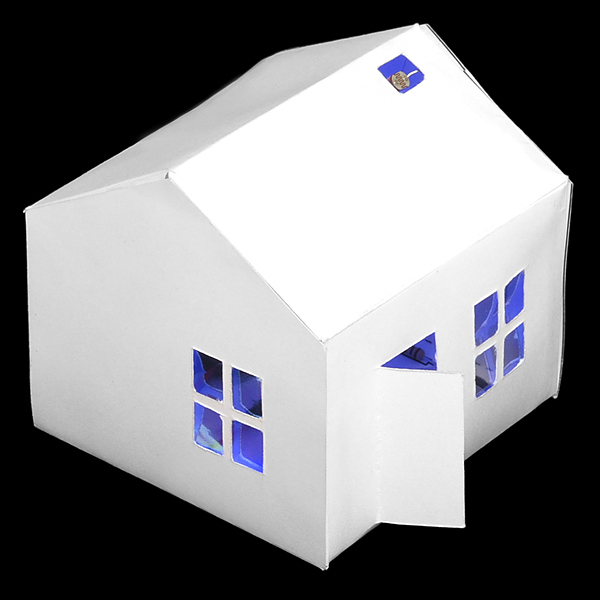 These paper houses light up in the dark, as seen in the tutorial below. This kit is appropriate for makers of all ages, though Bare suggests adult supervision for children younger than 12.